When Rajini’s Robo ( Enthiran ) hit the cinemas it was really a party time for fans of the ‘Superstar’ worldwide. 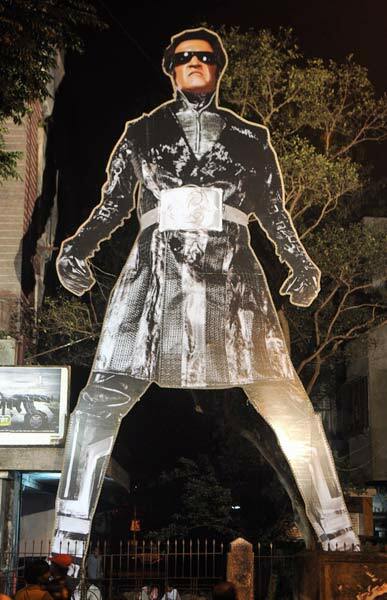 Check out Rajinikanth’s 70-feet cutout outside a cinema hall in Mumbai. Kuselan Fever in USA – Rajini Cut-Outs, Kuselan Choclates ! !